indieLove co-hosts a special Jelly … Coffee Club! 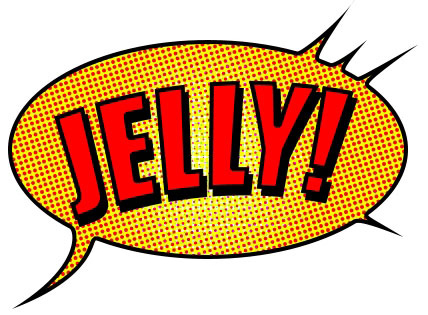 Our umbrella business, indieLove are delighted to co-host this Jelly with a twist hosted in assocation with our friends official Birmingham #Jelly and Enterprise Nation Club‘s Coffee Club. Who: freelancers, home workers, solopreneurs, small business owners, field workers, people escaping the office for the day – in fact, everyone is welcome to drop in co-work, collaborate and chat. Other than a laptop you can bring your notebook, craft or just yourself, it’s a great time to clear your diary and think of new ideas. Other than a laptop you can bring your note-book, craft or just yourself, it’s a great time to clear your diary and think of new ideas. Friday June 14th from 9am until 2pm at Urban Coffee Company, Jewellery Quarter. Great, where do we sign up? Although there is no formal RSVP, we encourage you to sign up at on meetup and or #wewillgather to let your friends know that you’re coming. A new modern membership scheme for small businesses. For just £20 per year, the scheme offersmany benefits including 25% off all of our books and events and over £500-worth of exclusive business benefits. Set up and run by Rickie Josen for over 2 years now, Jelly Birmingham is the established co-working event in Birmingham’s small business calendar. Set up in 2013, IndieLove offers affordable products and services to fantastic independent businesses everywhere and does so with a spirit of fun, adventure and opportunity. Follow on twitter and a like on facebook. For more information on how Jelly started in New York have a look at this or read my article about Jelly in Enterprise Nation here.